In an unprecedented first, the legendary American Newspaper the New York Times (NYT), published an anonymous editorial page opinion purporting to be from a senior official in the highly dysfunctional unethical Trump White House. It is shocking. Of course predictably, His Excellency President Trump and his supporters including police officers etc. cheer when he attacks the “yankee” NYT. And he continues to spew divisive hateful speech and attacks the media. Has anyone seen/heard a Sri Lankan PM or President ever attacking the media like this? relentlessly even encouraging violence towards them? Is that the new global norm to emulate? Any media view different from his are “fake news” now; seems like someone in Sri Lanka is using the same line now. In fairness most mainstream media including CNN which is attacked by name along with MSNBC by His Excellency Trump, devote almost all their time to negative news. FoxNews on the other hand, is better than Pravda and Communist media from the cold war era in being one-side propaganda bile ducts for his Excellency’s agenda. Below is a section of that shocking op-ed that came out on Sept 5th. All Sri Lankan leaders should read and ponder. In addition, in a divisive issue pertaining to the biggest sport of them all: American NFL football, he denigrates and attacks the black players who kneel during the national anthem; he accuses them of being unpatriotic and against the US military; that is farthest from the truth, but his supporters lap it up. Far from being a unifier he wins by dividing the nation. At rallies he says things like this. “Wouldn’t you love to see one of these NFL owners, when somebody disrespects our flag, to say, ‘Get that son of a b—- off the field right now,” “Out. He’s fired. He’s fired!” No elected or appointed President nor PM of Sri Lanka has ever spoken like that. In a recent controversial marketing move, the global Giant Nike, features the young black man Colin Kaepernick who started the kneeling during the national anthem movement to highlight police brutalities, and alarming number of suspicious deaths by shooting at the hands of the police; even when black people are unarmed and running away from the police. But that issue does not matter to Trump and his ardent base of white voters. Time to step back into history of injustice. Speaking of lynching, there is a powerful new museum in Montgomery, Alabama that highlights the over 4,000 documented cases of lynching of black men for which no justice was ever meted. One institute records the lynching of 3,436 blacks between 1882 and 1950. Yes 1950. A seminal book, called “Without Sanctuary, lynching photography in America”(2000) features photos of these horrific lynchings to highlight the crimes that for the most part involved local police, Sheriffs and even local state politicians those days. Lest people make a mistake, please note, it was mostly old racist southern Democrats who were in almost absolute control of the southern states back then. Apparently, these lynchings were viewed by many, as picnic outings. 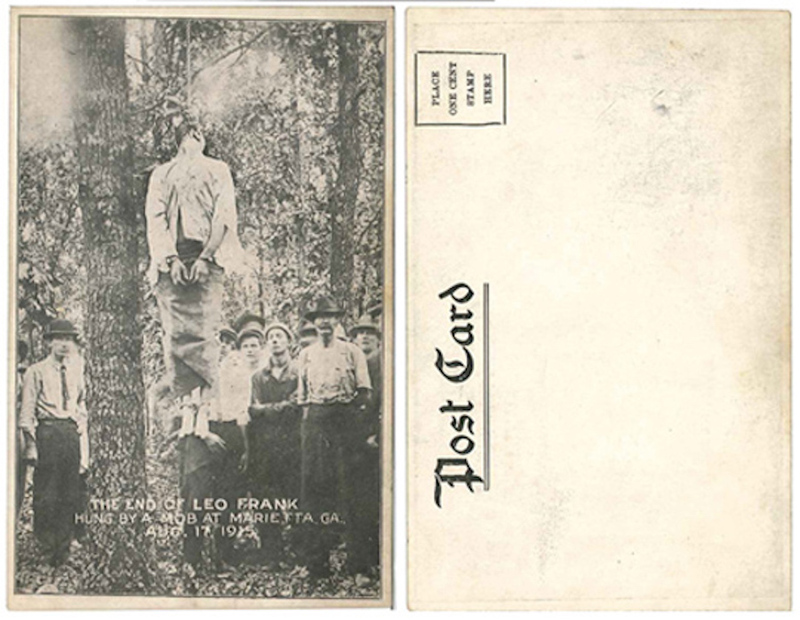 Postcards were made to commemorate the lynching and mailed. Can you believe the depravity just a few decades ago? The US Senate never passed federal anti-lynching legislation; instead in 1908 it made it a violation of U.S. postal regulations to mail postcards depicting lynched corpses, saying that the cards might “incite violence”. And from those who called themselves Christians and more than likely Southern Baptists who went to church every Sunday dressed up to the nines? How can this be? And Trump abuses an athlete who does the Christian thing of kneeling to highlight current issues. In the case of corporate giant Nike, unlike the way HE Trump attacks NYT or Amazon (The Trillion dollar company) and its owner Jeff Bezos, who owns the Washington Post (which exposed the Pentagon papers and whose reporters help expose the Watergate scandal), he has been subdued in his complains about Nike making a bold business move to feature Colin Kaepernick. It may or may not have to do with the highly coincidental fact that Nike is one of the biggest Tenants of Trump properties in New York City. Trump said “Nike is a tenant of mine. They pay a lot of rent.” He went on to say that the hiring was “a terrible message and a message that shouldn’t be sent.” But it’s hard not to fixate on the immediate qualification Trump offered for his thoughts: Nike gives him money; money triumphs values (WaPo). Millions of patriotic Americans adore him and defend every bizarre 3:00am tweet, and insults and total fabrications. No President has ever attacked independent special counsel investigations like he does; every time something new comes up with a plea bargain or a guilty verdict in ancillary cases related to the main investigation, he will raise the issue of the National Anthem or some other bogey man or of course illegal immigrants is the favorite piñata to divert attention. The economic recovery that started under Obama continues. The stock market has had the longest Bull run(most of it under Obama but he is black, so no white Trump supporter will give him any credit), Unemployment which was almost at 10% when Obama won(and he handed it to Trump at 4.7%) is at an all-time low. Consumer confidence is on the rise. Corporate confidence is at an all-time high. These will be the facts that stand in his favor despite his Peronista tendencies. So far, Democrats have no cohesive message except to shout that they will impeach Trump. That is highly partisan. Even silent decent Republicans will never vote against their party. The Republican base is now different and consists of an entirely different kind of voter; however no matter what the traditional Republican may say in anonymous editorials or in private, they will vote for Republicans. The world’s most powerful man is under so much stress it is scary. Add to it the revelations in Bob Woodward’s (one of the journalists who exposed the Watergate scandal) new book on His Excellency, Trump, we are likely to see more exciting roller coaster rides along the way. Will the US system of democracy, fall apart due to subversion by foreign forces and due to inaction or collusion of its elected leaders? Who gains by manipulating elections in the US as happened in 2016? Who wishes to see the US and its powerful democratic institutions and delineation of powers that prevent a Dictatorship fail? Why is Trump afraid of Putin? Can the hallowed institutions of democratic good governance, non-political professional services and the Department of Justice withstand this relentless assault from a new brand of Presidency? Is this man’s behavior is more like a Peron-Mugabe than of a Lincoln or Reagan? In conclusion, here is another excerpt from the same editorial. With another election in 2 months with possible hacking and voter rigging and voter suppression, we are in for some roller coaster rides. Barring a criminal indictment, this populist nationalist white supremacist President is likely to win re-election in 2020 as long as the economy keeps heading in the positive direction it was steered into by Obama; but Obama is black, so he never gets credit from Trump. It is hard for US Diplomats to preach to Sri Lankan Leaders democratic values, environmental mitigation, and diversity and inclusiveness etc., that are not practiced by its own fearless leader. They must get a lot of egg on their faces these days. For a myriad reasons it is important for us to understand how America ticks. We owe you, Mano, a deep debt of gratitude for interpreting it all for us, with insightful cross-references to what happens in Sri Lanka. Thank you Sir. One of the most emotional profound moments in my life was when I took the oath to become a citizen. It was powerful because you basically renounce any allegiance to any other country, or potentate as per wording. It also means honoring and respecting the Constitution of the USA. This is important. Some and in fact lots of people will say being a first generation immigrant means to shut up and just bow down and work and enjoy the material comforts. I do not see it that way. Trump does not even seem to understand the constitution. He assaults the very sacred institutions that safeguard democracy here. Political abuse, political intereference is what he seeks. People resist but how long before the system breaks and becomes like Russia’s one man show? A lot of Sinhalese watch Foxnews and vote only Republican because they or their spouses have become really successful making millions. They also refuse to examine all sides and even engaged in downright racist things by calling “obama is a muslim” at parties and constantly only and only repeated negativity emanating from Foxnews back then. They are a bit fanatic. No point in trying to talk sense. So one grimaces and moves along. I am more of a Libertarian but I even challenge my former students who have racial biases. For example, when the economy improved and actually Obama handed Trump the economy in a very healthy place. Unemployment rate was actually was 4.6% in Nov 2016. A lot of white faculty(diehard republicans), some of my conservative students(including those who were Veterans), and those foxnews Sri Lankan emigre’s all kept saying “that news is fake” despite the data always coming from bls.gov(the official data) and claimed that “real unemployment is higher” and they were NEVER able to give Obama credit. Why? Immediately after he took oaths, even before his policies had any impact Trump started taking soul credit for DJIA and economy. How is that possible that in Nov 2106 he said real unemployment is 25% to 45% and attacked Obama, but in January 2017 the very SAME goddamned DATA he uses to claim credit . Yes the tax cuts gave corporations a boost. But now the budget deficits will cross a TRILLION dollars for the very first time. Guest what? White Republicans(mostly) and those Foxnews Lankan emigres will not talk about that. The deficits only mattered when there was positive economic news under Obama. Some of them actually wrote that on my social media when I praised Obama for steady leadership. Aiyo Aiyo kaata kiyannada? Mano Ratwatte, You like Obama; don’t like Trump. Why blame the Lankan emigres. How did Trump become President. Was it not democratic. That is the price of democracy. Democracy in the wrong hands is a devil. If I remind you of Sri Lanka, I am sorry! America is a country of two Nations, – the haves and the have nots! The have nots have to work hard for their daily bred. The haves, on the other hand, only have to have the have nots work for them. They spend their time multiplying their assets, investments, comforts. Like MR / GR even a war is good for them! Trump teased the voters twice, once every four years. He was waiting for Hillary to arrive. He knew that Hillary had a baggage and that it was too much for her to lift. He simply had to dish out his slogan, ‘America had to be made great again’. Most Americans are supremacists. If you are not one of them at least stop complaining! Thappu, Hillary was a flawed candidate. Democrats will keep losing if they keep selecting candidates like her. I did not vote for either! Gary Johnson ! Mano Ratwatte, Your response tells me that my comment was worthy of your attention! Thank you. Hillary lost by the complicated system of electoral votes, despite winning the popular vote. I wonder if your ‘flawed candidate’ description fits under those circumstances. She would have been a reckless driver, I agree! You voted for Gary Johnson. I consider it a spoilt vote! I am not sorry for Hillary. I am sorry for America. My America includes you as well. 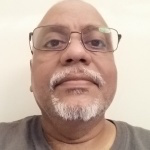 But I have to agree with Thappu ……… for most Americans money and “success” is a religion. …….. Sorta each man for himself and God for us all. I always found racism was always seething under the surface from way back when ………. not just among the Whites …….. Trump is more honest and only brought it to the surface – He didn’t create the racist society; Americans did. Unfortunately, things are only going to get worse all around the world ……….. due to the rapidly increasing population ………… the competition for survival for our children is going to be intense. People who know the real nature of man – not what we want it to be – have invested their wealth/money/funds wisely in places those will have some protection when things get nasty ……. and not in fiat currencies that eventually will get destroyed by inflation. Just observe what cheap-money has done to asset-values all around the globe – from stocks to real-estate. We have to look after ourselves …………. Donald, Mahinda, Ranil ………… or whoever your current flavour of the month is not going to do it. Once we have that under our belts ………. then we can talk about man’s feel-good thingies ……….. religions, morals, ethics ………….. Question for the day ……… how did the Pope – or the Chief Priest of Malwatte – rise to the top? Did “survival of the fittest” play a part? Trump has embarked on a new path to attack those who attack him. I think he is right. Good luck to him. Trump will and does act, not as others expect. One can see a method and pattern. Since J Edgar Hoover, there were speculations that the real government of US consisted of CIA, FBI, the Pentagon and………. Is Trump waging a battle for the elusive peoples’ supremacy? PS: No more than a lateral thought. Mano, you should be careful these days. Remember you were harassed with threatening phone calls for writing to your local paper in Norman opposing the Iraq war before it happened and predicting the outcome? Some people hate anyone like us. Racism was not invented by Trump, but brilliantly used by him. He is here to stay. What is the point of talking about him? We are in crazytown in the USA now. We have a dictator in the making as our President. Democratic institution are under severe attack. With the Supreme Court soon going to be conservative majority, Presidential powers will be expanded. His companies profit massively because he is President. His son in law goes to India and sell the family name; the sons are utter mutts and arrogant douchebags. But you are an idiot to write. US is now against Free Trade, against TPP, against gay rights, against the notion of man hastening global climate change and he actually is getting Mexico to surrender on NAFTA. People will adore him even if he walks down 5th avenue and shoots a person. He is not only Peron you slightly alluded to, he is like Mussolini in the making. Wait until Kavanaugh is made a SC judge. Immediately Roe vs Wade will be overturned and civil rights curbed and voter suppression will begin. Also Presidential powers will be increased rapidly. Checks and balances will be gone. You might as well go back to where you came from by 2020. After that, in 2024 it will be Gay Hating Pence who will be our President. Thanks for all this refreshingly honest, if disturbing, writing. I rather feel that “nimal fernando” has begun commenting only recently, but all his contributions are well written and sensible. I wonder if Mano could analyse the pros and cons of the various ways in which Executive Presidents are elected. Keep an eye open for the Maldivian Elections two weeks from now. The Incumbent, Yameen is a horrible man. I’m sorry I have accidentally turned all that follows into bold . I had wanted only four words in bold, but I hadn’t properly cancelled after “objectivity”. Sorry. Mano, like most Third World unsophisticated writers, latches on bits and pieces of history and politics to weave a picture of a US and a duly elected President as racist. Sadly, in Lanka, some people believe this kind of drivel. Obama was not only a disaster for the US but also for Syria and Libya, where people ended up worse than the Obama and Clinton instigated “Arab Spring”. Obama talks about racism while Africans Blacks throng to cross the sea to come to the racist white man’s land that is Europe. And in Libya blacks are sold as slaves for a few hundred dollars, today. Not year 1718, 1918 but in 2018. Wake up Mano, learn to write in a holistic manner without just repeating drivel from the failed Obama camp. Thanks for your comments Comrade. Read this link first. Obama-Hillary-Sarkozy-Cameron were totally responsible for the chaos caused in Libya. What is the end result ?This was NOT a opinion on Obama. Please read some of my past postings here. Obama did not deserve the Nobel or should have returned it when he and his team enabled the evisceration of Libya. Where is Libya now? Ask yourselves that. And Hillary sent Asst Sect of State Victoria Nuland to actively support the violent protesters in Kiev(Ukraine) leading to the overthrow of a corrupt albeit a democratically elected President who was pro Russian. What is the end result? Crimea gets taken back by military force. What is the relevance to Sri Lanka? Remember the Parippu drop by India when SLA was about to defeat the LTTE? It will happen again. But US has huge strategic interests in Trincomalee now. It is likely to be used as a staging post for the future. They will say “Rescue and disaster relief equipment” but like how they have well hidden bases in Saudi Arabia, just 50 miles from their holy sites, US is likely to use it in their expanding conflict free zone concept to rein in China. Big powers and regional areas of hegemony. As for LIBYA READ my column if you were not an early entrant to this Website. Thanks though. I openly argued against the evisceration of Libya. Now the entire refugee crisis was magnified by it and Europe is struggling. Look at the RESULTS of the Swedish elections on Sunday. The nationalist Sweden Democrats (SD) have won about 18% of the vote, up from 12.9% in the previous election. They do indeed have big law and order issues. This is the trend. Trump has hit key points that resonate on the fears… Look at England too. But read the link I posted above , Thanks for the criticism though. I appreciate it . Nothing works when everyone agrees; it is always GREAT to have different points of view. It is indeed Obama’s election that led to the seething anger of the white working class. Hillary was flawed in that sense, she was an ultimate insider and seen as part of the corrupt ruling class. Are you implying China will chose to fight the Hindians for and on behalf of the little islanders? I am bit thick. Therefore please tech me. In the “global-village” there is rarely an increase in jobs in “industrial-manufacture” (as opposed to agriculture) in one area of the globe without a resultant loss of jobs in another region of the globe ……. i.e. The jobs growth in China, India, Mexico …….. and the resultant “prosperity” of those workers are/is the jobs and “prosperity” lost by the American-workers. If the American-workers do not have jobs hence “buying-capacity/power” …….. to buy the products manufactured cheaply outside by the corporations and brought in to the country for greater corporate-profit ………. what do you do? I’m not going to enter any discussion with you regarding the merits that you see in Donald Trump. I quite simply don’t think it worthwhile getting in to arguments with a person who admires a person whom I find as despicable as The Donald. Nor am I going to argue for a more rational view of Obama as President. The POTUS will always make what many will see as mistakes owing to the wide range of issues on which he must necessarily take a stand; those stands will be public knowledge. I am glad that you have had the courage to unambiguously express strong views. That allows another guy to contradict you. What has surprised me is the insulting way in which you have spoken of Mano Ratwatte. I have had no direct contact with him; I only “know” him through what I have read on CT. Apart from his ever welcome articles, he sometimes comments. However, I have known a few of his relatives; others who are known by name to all Sri Lankans, I have not had contact with. Mano Ratwatte is the son of Dr Seevali Ratwatte (a physician) who was a younger brother of Mrs Sirima Ratwatte Bandaranaike, the First Woman Prime Minister in the world. He is first cousin to CBK. Such a man can hardly be described as “ Third World unsophisticated writers”, which is what you have done. Mano seems to me to have just the right attitude when he comments on the periods when his relatives controlled the destinies of our country. He doesn’t make a huge secret of his antecedents, nor does he drop names to boast. What he says is usually rational, balanced and undogmatic. He doesn’t mislead; once when I wrote saying that as a Trinitian he would be aware of something, he disclaimed having attended “as august a school as Trinity College, Kandy”, and said that he had attended a State school. Words to that effect. I later found that he’d been at Royal, Colombo 7. Now that is not just any old state school, but what he said was not something I consider “misleading”. He is ever ready to respond politely, but seems to be cautious in establishing contacts. He has steered clear of me – possibly regards me as dangerous. Among the positive things that he has done is to get his DNA tested; he has acknowledged that it proved to be mainly Dravidian. Given all the racism that is ruining our country, that was not only honest, but also bold. I have gathered that he is married to a white American woman. Nothing wrong in that, as far as I am concerned. He appears to have taught some subject like sociology in an American University, but has now retired. I don’t think that he had risen to the rank of Professor, but I’m sure that he would have been a good teacher. For us, in Sri Lanka, the articles that he writes are invaluable, because he is frank and realistic. From this article, it should be clear to you that he doesn’t like Trump. He indicated as much six months before Trump was elected, but he also told us that Trump’s election was quite likely. That was when U.S. Opinion Polls had him trailing way behind Hillary Clinton. I’m a guy who has never been outside Asia; I have always valued the clear-sighted pictures he gives of the Western World. My main point is that the sacred institutions of Democracy are under severe assault. The concept of independence of the DOJ and FBI and CIA etc is being threatened. Putin will love the way the US is heading. When a President tweets insults at his own AG we have big problems. When the President says everything is fake news when his lies are exposed, we have big problems. When the President threatens people and insults them(he insulted even his own party men before he won). As for the complicated Electoral College system, that has worked for us here ; so no need to change it now. It gives a more equitable distribution of power amongst states. And that is why no matter how small the state is or how big the state is the Senate has 2 members representing each state. Senate is the high chamber even if Congress has some interesting fellows very much like clowns of the third world from time to time and religious fanatics etc. It’s good to have strong dissenting views. However, two factors have made me change my planned comment. Your comment, and the fact that upto a few hours ago I had created a shambles by turning every comment in to bold. Bold ought to be used sparingly; what is easiest to read is what is “normal”. I’ve managed to undo damage for your comment, but I don’t think that there is any way I can repair mine. This led to a second round run off in which Nasheed got 53.65% and Maumoon Abdul Gayoom 45.32%. There was another election in 2013. Let us leave that alone for now. I hope no Islamophobe asks me why study this! Tony Blair puts it politely. There are two questions before us: Firstly: Would an Executive Presidential system with a Parliament for Legislation be best; or would a system where we have a nominal President, and a powerful Prime Minister and Cabinet (as it used to be until 1978) be preferable? I won’t even attempt to answer such a question. I’m neither qualified nor knowledgeable enough. Secondly, How do we decide the winner of a Presidential Election. Donald Trump had less than half the electorate supporting him ( ) ; and, in fact, more voters supported Hilary Clinton than the Donald. But she, too, had the support of only % of the voters. However, owing to the Electoral College system that has been in place for literally centuries, Donald Trump was elected. Fair enough, since there were lots of analyses of how the system would work, and both major candidates knew clearly where it would best be to campaign most owing to the prevailing system. The Democratic Party miscalculated many things and lost. The system is weird, and I don’t understand it. Nor, I’m sure, do the majority of Americans. However, there are too many sophisticated analysts who do understand it for us to fault with the system. Mano Ratwatte is the expert who guides my opinion in certain areas. That is how it is in most things. Other countries insist that more than half of those who voted must find the President Elect acceptable. In most countries that so insist, there is a run off between the those who emerged first and second. It is inevitable that the two in the run-off will not only woo those who voted for the eliminated candidates, but also seek endorsements from those who have dropped out. You saw it in France last year, when Macron was elected; it is the system that prevails in the Maldives, but this month there are going to be only two candidates. The system in Sri Lanka is perfectly rational; the problem is that very few voters understand the system and no major political party will ever explain it. Insignificant guys like me may explain it, but those who listen and understand it will rarely be one in twenty. The system here is that if no candidate obtains a plurality of the votes, The second preference of those candidates who have been eliminated will be counted. If one candidate now tops 50%, he (or she – I will not hereafter in these comments mention the feminine person, since it is obviously meant by me) is declared elected. The third choices of those voters whose votes have not yet been added to the pile of either of the two leading candidates, will now be looked at. I don’t know what happens if no candidate has yet reached 50% + 1. The most rational course of action would be to conduct a fresh election, with a fresh lot of applicants. If this system is to work as it was meant to, most of the voters must understand that each of them can list three preferences, and they must mark all three preferences. Almost nobody seems to be aware of the system; very few cast what I would consider intelligent ballots.